Recently I dealt with a case of battery sulfation aboard a vessel equipped with a one-year-old, 700-amp-hour, 12V absorbed glass mat (AGM) battery bank. Charge sources included a 130-amp inverter/charger, a small 30-amp backup charger, and a 150-amp externally regulated alternator. All the sulfation clues were present. The owner was a liveaboard who was away from the dock, and shore power, roughly 75% of the time, which meant batteries were cycled daily during this time. Lately, however, the batteries were being depleted in a fraction of the time they normally supplied power. I saw no red flags until she mentioned that the boat had recently been in a yard for a bottom job, and during that time her shore-power cord had been inadvertently unplugged. When she returned, the voltage on the house bank was just 5V. She activated the backup charger, as the inverter would not come online with such a low voltage, and the batteries recharged quickly, almost too quickly, she said. The boat was launched and remained dockside for a week before she once again got under way. That’s when the low-reserve-capacity problem manifested itself. During extended periods of discharge the amorphous lead sulfate that makes up a battery’s plates converts to a stable crystalline form. In this case, stability is undesirable; it leads to the development of large crystals, thereby reducing the battery’s active material and diminishing its capacity. Batteries that are left in a depleted state may undergo a process known as sulfation, wherein crystals form on the battery’s plates. 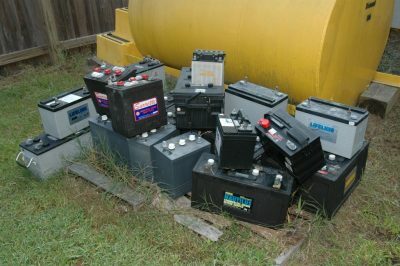 Sulfation occurs in lead acid batteries that are left in a discharged state (with each crystal diminishing the battery’s capacity) or when batteries are chronically undercharged. This happens frequently aboard cruising vessels with large banks and undersized charging systems, or where charging systems simply aren’t, or can’t practically be, run long enough to return the bank to 100% state of charge. Sulfation effectively shrinks the size of the battery bank, with each crystal displacing active plate-surface area. Diagnosing sulfation can be perplexing, because when a charge is applied to a sulfated bank it often seems to behave normally, at first glance charging rapidly. With the vessel in question, the rapid discharge and rapid recharge offered another clue to the problem. When the batteries had been allowed to fully discharge and remain discharged for days, they had sulfated. The problem wasn’t apparent while the vessel was dockside, because the inverter/charger carried the house loads, with the batteries acting only as a buffer. But once the batteries were called upon to begin working again, they no longer had their previous capacity. The good news is these batteries were salvaged by a process called an equalization or conditioning charge, which is essentially an intentional, controlled, extended overcharge, which dissolved the sulfation crystals. Most inverter/chargers, chargers, and some externally regulated alternators offer this feature. Alternatively, a shop charger adjustable for voltage and current could be used. Beware: Not every battery type and brand is capable of being equalized; most flooded, and at least one AGM battery manufacturer I know of, Lifeline, offers instructions for equalization that must be followed scrupulously. No gel battery I’ve encountered is capable of being equalized. Some manufacturers have limited the number of equalization cycles that can be carried out over a battery’s lifetime, while others approve regular equalization. Batteries don’t necessarily have to die because of sulfation. It may be reversible using a process known as conditioning or equalization. 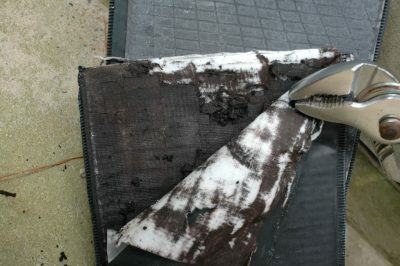 If you suspect that a customer’s bank is suffering from sulfation, it may be worth attempting equalization before the hassle and expense of replacing a battery bank— particularly if the bank has been allowed to go dead or is routinely under-charged. Before you begin, contact the battery manufacturer to make certain the batteries are capable of being equalized, and to confirm that they are good candidates for the process. It makes little sense to equalize a 10-year-old bank or one that’s passed the number of cycles for which it’s designed. “Young” banks, on the other hand, are often good candidates for equalization. Also be aware that equalization’s extended overcharge subjects the battery bank to an abnormally high voltage. Thus, it’s important to ensure that voltage-sensitive gear is not exposed to the equalization charge.